Vodka-infused pizza is available at Scareptta. Scarpetta Philadelphia and Stateside Urbancraft Vodka have teamed up to create vodka-infused pizza. 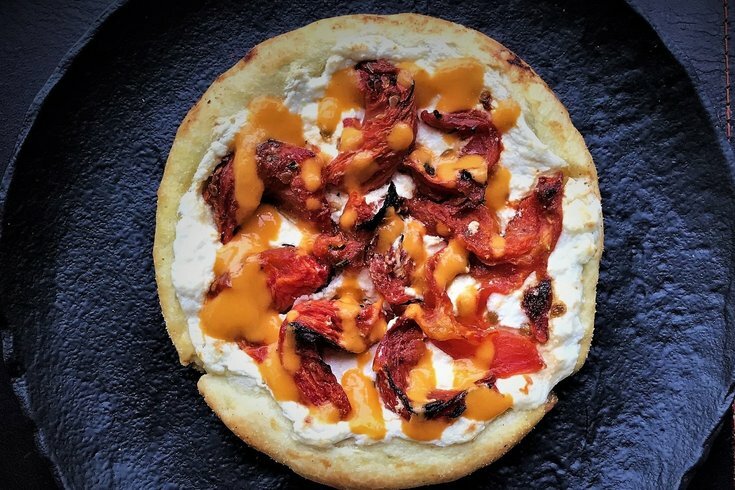 The pie is made with vodka-infused pizza dough, layered with vodka-infused ricotta cheese and sun-dried tomatoes, and drizzled with a vodka blush sauce. So, yeah, it's boozy. You have to be 21 or older to order. The pizza is currently available at Scarpetta in Rittenhouse Square for $10 during dinner hours and $6 during happy hour. Dinner starts at 5:30 p.m. daily and happy hour is Sunday through Friday from 4 to 7 p.m.